A vigorous, spreading species. 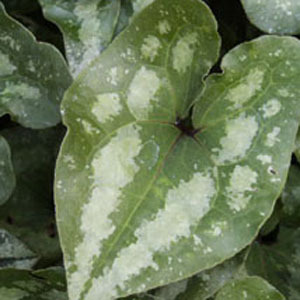 The large, dark green leaves are splashed with silver and are very attractive. Nice either in a shady part of the garden or in large pots. Categories: All Items, all potted plants, groundcovers, medicinal herbs, Potted Plants, More..